This beguiling Tissot Le Locle Automatic watch features a case crafted from stainless steel integrated with 30 meter water resistant technology. A sapphire crystal glass lens protects an elegant black dial accompanied by an hour track made up of a mixture of Roman numerals and baton indexes. The central hands have been beautifully carved to fine tips at the end, where they glide past a date features at 3 o’clock.This date window is dressed against bright white tones to enhance readability, whilst the “Tissot 1853” lettering makes for a superb contrast against the silvery tones of the dial with its crisp black colour. A sophisticated stainless steel bracelet that closes with a butterfly clasp around the lady’s wrist, adds a stylish touch to any attire. 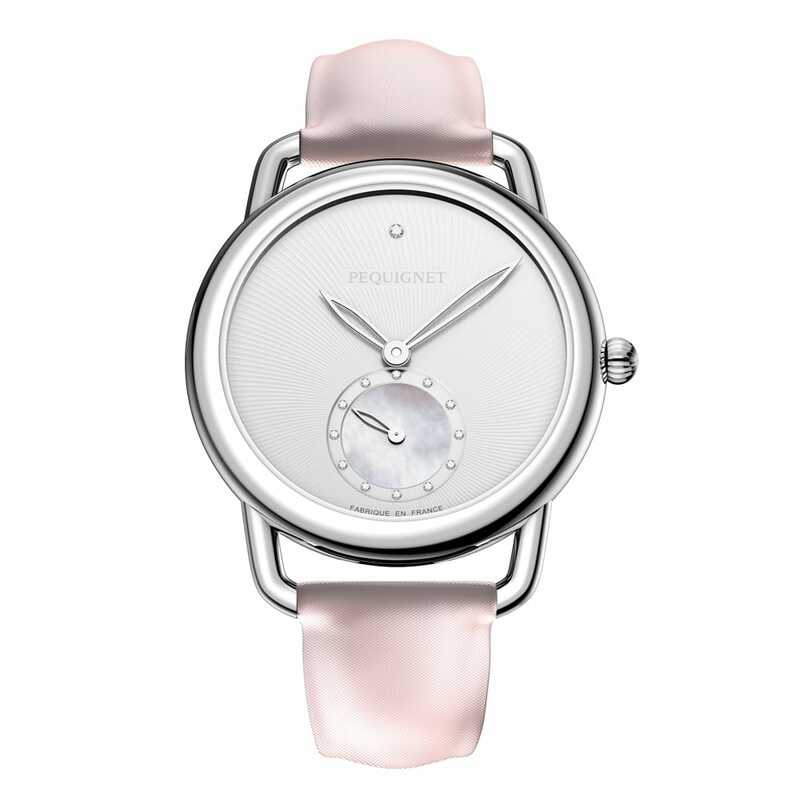 This watch undoubtedly is a collectable for those ladies with the very finest taste in luxury.